New data shows that a growing number of consumers are avoiding the pains of the weekly grocery-grab by shopping online. About 25% of all American households buy some groceries online, according to the Food Marketing Institute and Nielsen’s “The Digitally Engaged Food Shopper” report. That number is up from previous years thanks to online delivery sites like AmazonFresh. Walmart, Kroger and even some local grocers are bringing convenience through their online grocery pickup options. By 2025, Americans are expected to spend more than $100 billion on online grocery shopping, the report says. Within the next decade, consumer spending on online grocery shopping could equal the gross sales of 3,900 grocery stores. of shoppers for deals and coupons. of shoppers say mobile devices improve their lives. How satisfied are we with online shopping? More than 80 percent reported satisfaction with their online shopping experience. What makes it so popular? Register up to three nonbusiness numbers online at www.donotcall.gov. You can also call 888-382-1222 to register the telephone from which you are calling. For TTY, call 866-290-4236. Local businesses may not think of themselves as typical telemarketers, but the same Federal Trade Commission Do Not Call laws apply to them. If you are a company, individual or organization that places telemarketing calls, it’s important to familiarize yourself with the operations of the National Do Not Call Registry. Unless you fall under one of the established exceptions, such as telemarketing by charitable organizations or for prior business relationships, you may not make telemarketing calls to the numbers included in the National Do Not Call Registry. For information regarding these regulations, visit the National Do Not Call Registry at www. telemarketing.donotcall.gov. You can find the Federal Communications Commission and Federal Trade Commission rules governing telemarketing and telephone solicitation at 47 C.F.R. Sections 64.1200 and 16 C.F.R. Part 310, respectively. OFFICIAL NOTIFICATION: The Do Not Call initiative, regulated by the Federal Trade Commission and the Federal Communications Commission, requires telephone service providers to notify customers of the National Do Not Call rules and regulations. The PRTC Connection is published by Peoples Rural Telephone Cooperative, © 2017. It is distributed without charge to all members of the cooperative. is your member-owned cooperative serving Jackson and Owsley counties in East Kentucky. The cooperative is dedicated to using technology to keep its members connected through high-speed broadband Internet, digital and HD television, wireless 4G phone service, local and long-distance calling and beyond. hen I was young, being prepared to go back to school meant making sure I had my pencils and paper ready. Today, kids need more than what they can fit inside their backpacks to be prepared to get the education they need — and we are here to help. 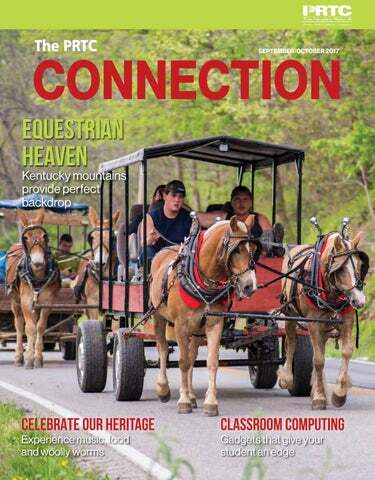 On the Cover: Obie Stewart Jr. (left) and Obie Stewart, Sr. lead a caravan during the Owsley County Trail Ride. See story Page 9. Photo courtesy of Angela Byrd. ANNUAL MEETING Don’t miss a chance to support your cooperative and win great prizes! WHEN: Saturday, Oct. 21, at 1 p.m. WHEN: Thursday, Sept. 28, from 10 a.m. to 3 p.m.
WHERE: The Jackson County Community Theatre in McKee. WHERE: The PRTC office in McKee. WHAT: Attendees have the chance to win cash prizes and free gifts. Registration closes when the meeting begins at 1 p.m.
WHAT: Free gifts, great prizes and lively entertainment! FOOD: While you’re there, grab a bite to eat from Darrell Combs BBQ. In observance of Labor Day, all PRTC offices will close Monday, Sept. 4. PRTC would like to wish all our customers a safe and fun holiday weekend! PRTC is a cooperative. But what does that mean? There are SEVEN PRINCIPLES that make us different than other telecommunications providers. e can’t all be our team’s starting quarterback. Nor can we all pitch a perfect game, catch the checkered flag seconds ahead of the rest or hit perfect 3-pointers. Fortunately, though, there are museums across the South that allow us to come close to sports legends. The Paul W. Bryant Museum in Tuscaloosa is a must-see for sports fans touring Alabama. Photo courtesy of Paul W. Bryant Museum. Photo courtesy of Texas Sports Hall of Fame. Care to see a Heisman trophy? Don’t miss the Texas Sports Hall of Fame. Racing fans shouldn’t miss the Darlington Raceway Stock Car Museum. Photo courtesy of Harrelson Photography for Darlington Raceway. hroughout its history, PRTC has been led by distinguished individuals who have helped bring a world-class telecommunications infrastructure to Jackson and Owsley counties. At the forefront of each of these decisions to deliver the latest communications technology is the PRTC board of directors. As a way to educate PRTC’s members about its board of directors and to highlight the people who advise the cooperative, PRTC will feature a story about each board member in this magazine throughout the year. farm in Three Links with his wife and high school sweetheart, Mabel, for at least 53 years. He is originally from Rockcastle County and retired as a machinist from Parker Hannifin Corporation in Berea in 2001 after working there for 42 years. Davidson’s great-grandfather moved the family to Eastern Kentucky around 1896 from Scott County, Virginia. He operated a small grocery store, farmed and served as a Methodist minister in a church where Baptists and Pentecostals also worshipped together. Davidson’s father, Samuel “Sam” Davidson, maintained several jobs in coal mining, timber and farming. He was often away from the family for a week at a time so he could provide for them. “He worked hard,” Armel Davidson says now. “He was a good person, a good man. But I don’t say this just because he was my dad. He was a good man.” Armel Davidson spent the first eight years of his education in a one-room schoolhouse. He graduated from Livingston High School in 1958. After graduation, he attended Eastern Kentucky College, which is now Eastern Kentucky University. “At that time, I was in elementary education,” he says. The Eastern Kentucky hills draw horse lovers, who explore the trails or participate in events such as the Owsley County Trail Ride. Photos courtesy of Angela Byrd. ark Martin describes the mountains of Kentucky as “a convoluted, up-and-down place.” It’s a place that can be both rugged and peaceful. Derrick Burkhart tacks up his mule prior to the Owsley County Trail Ride. Braden Burkhart leads a pony while Elijah Burkhart and Braden Byrd watch. Obie Stewart Jr. puts a harness on Yellow prior to taking a group of riders out on the trails. t’s back-to-school time in 2017, and while we still don’t have self-driving cars that will handle that early morning drop-off, robot dogs that come with homeworkshredding attachments, or even lockers that won’t jam, several services and gadgets will make the life of any student (and parent) a little easier. Here are a few of them along with suggested age ranges. It would almost be worth going back to college just to use this pen in class. The device records as much as 200 hours of audio, which is synchronized to your notes. You could write highlights during a presentation and then simply touch the pen to anything you wrote, and it will play the recording from that moment. With the included software, all notes and drawings are transferred to your computer along with the attached audio. You can share any piece you want as an interactive PDF, and your notes are even searchable. Available at store.livescribe.com for $179.95. Having a 3D printer at home would have been unthinkable only a few years ago, but consumer models like the da Vinci Mini have made it an affordable investment. The educational use of a 3D printer is only limited by the imagination or by the included access to an online STEM and arts curriculum for grades K-12. The printer includes 3D modeling software for beginners and uses filaments derived from cornstarch, making them biodegradable and nontoxic. If dads are still not convinced, it also makes neat toy soldiers. Available at us.xyzprinting.com for $289.95. ADDITIONAL SITES If you are looking for a specific subject or topic your child needs help with in school, take a look at the list of suggested apps at Common Sense Media. They break down the apps based on age and topic. You may just find something that makes evening homework a little more manageable. https://www.commonsensemedia.org/ lists/homework-help-apps Raising kids isn’t easy, and parents today face a different set of challenges than previous generations. Technology is a huge part of that. Take advantage of the help that’s out there to make your afterschool routines a little more bearable.  CARISSA SWENSON IS A TRAINING AND EDUCATION CONSULTANT FOR CONSORTIA CONSULTING. ew things bring a community together like a county fair, and the Jackson and Owsley county fairs are no exceptions. Both fairs focus on long-held traditions of fun, music and homecoming in the foothills. Events include parades, exhibits and plenty of mingle time for meeting up with old friends and family. The Jackson County Fair and Homecoming, eventgoers have come to see the fair as a chance to catch some live music while hanging out with old friends, says Jackson County Fair Board President Doug Wilson. A crowd of fairg oe at the 2016 Jack rs watches a show son County Fair. According to Woo llyWorm.com, the woolly worm has 13 body, which tradit segments to its ional forecasters say correspond to the 13 weeks of wint er. Cookbook author J. Wayne Fears credits his father with beginning his lifelong love of Dutch oven cooking. sizes, but there are several things common to all: a flat, recessed lid so coals can be placed on top; a strong bail for hanging over the fire; and a heavy lid with handle in the center. What is the most interesting food Fears has cooked in a Dutch oven? Caribou brains. It was a stormy night in Alaska, and his group of hunters were stranded in camp and ran out of food. “I told them what it was, and they liked it, but I did get a lot of strange looks,” Fears says. Fortunately, most of his recipes tend to follow a more traditional route. Here are some of his favorites. FOOD EDITOR ANNE P. BRALY IS A NATIVE OF CHATTANOOGA, TENNESSEE. “This beef stew has to be the best in the country,” says Fears. It can be made entirely outdoors, or you can use your kitchen stove to brown the meat in advance. 1 package Adolph’s beef stew mix 2 tablespoons vegetable oil 1 cup flour	3 pounds beef round, cut into 1-inch cubes 1 package McCormick’s beef stew seasoning 1 package McCormick’s brown gravy mix 6 large Irish potatoes, cubed 1 cup carrots, peeled and sliced In 12-inch Dutch oven, bring 3 quarts of water to a boil over charcoal or hardwood fire, keeping bottom of oven from coming into direct contact with coals. In separate pan on medium high heat, add 2 cups of warm water and stir in Aldoph’s stew mix. Heat to simmer, then add to water in Dutch oven. Heat oil in a skillet over medium heat. Coat cubed meat with flour and brown in oil on all sides. Add browned meat to boiling water in Dutch oven, stir, cover with lid on and reduce heat to low. Cook for 2 hours, stirring every 20-30 minutes to prevent meat from sticking to bottom. After 2 hours of cooking, mix McCormick’s beef stew seasoning mix into two cups of warm water. When completely mixed, add to Dutch oven mixture. Stir well. Mix McCormick’s Brown Gravy Mix in two cups of warm water. Add to Dutch oven and stir. While stew continues to cook on low heat, peel and cut potatoes and carrots. Bring water to a boil in two pots and put potatoes in one and carrots in the second. Reduce heat and let the potatoes and carrots boil until they can be easily pierced with a fork. Remove and drain. (Cooking potatoes and carrots separately has proven to keep them more tender.) Add vegetables to Dutch oven mixture. Stir. Remove from heat and serve. Makes 6-8 servings. Wash apples and core 3/4 of apple, leaving a little of the core in the bottom. In a bowl, combine raisins, almonds, cinnamon and nutmeg. Mix well. Take mixture and stuff each apple. In a bowl, mix honey, water and orange juice concentrate. Mix well. Place apples in a 9-inch aluminum pan. Pour liquid mixture over apples. 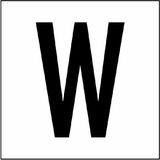 Place pan on trivet in 12-inch Dutch oven over charcoal or hardwood fire, keeping bottom of oven from coming into direct contact with coals. Bake until apples are tender. Makes 4 servings.